Tungnafellsjökull central volcano has not have recorded historical activity, but is considered an active volcano that has erupted during the past 10,000 year, mainly from flank fissures on the NE side where young basaltic lava flows occur. 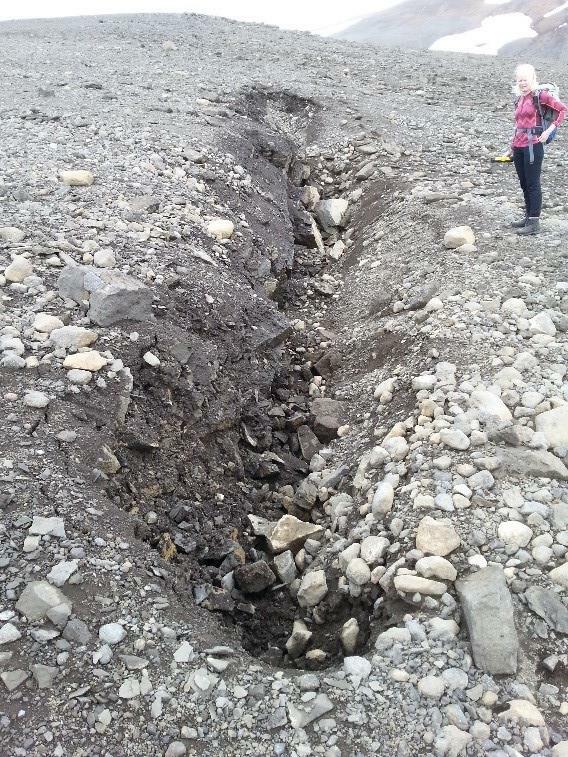 However, researchers have recently found news cracks and sinkholes / craters on their way to Gæsavötn. 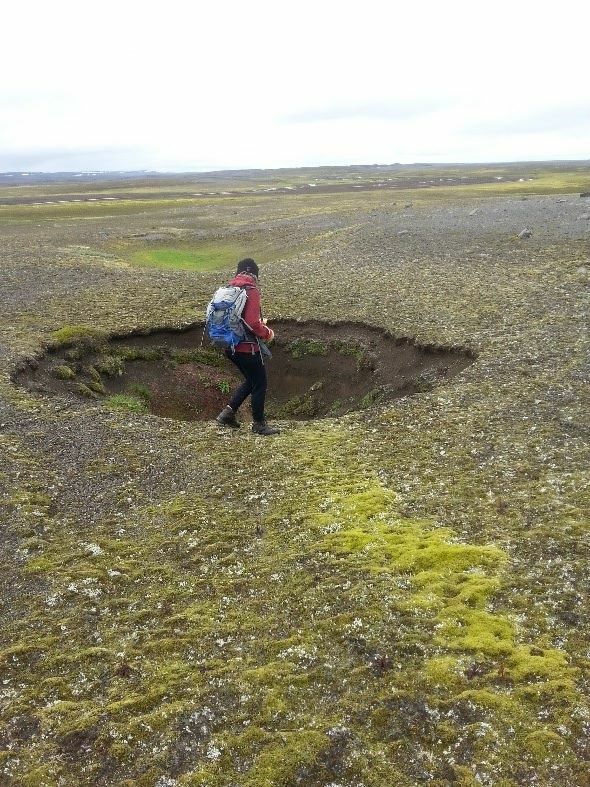 Are these traces of recent explosions in the Tungnafellsjökull volcanic system? It is known that the surface in a vast area around the northern part of Tungnafellsjökull is changing since several years. 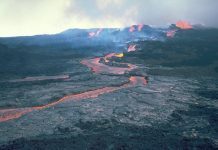 The movements were first discovered on satellite radar measurements, and were associated with the eruption of Gjøla in 1996. 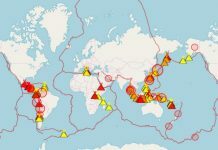 The area has been monitored since then, especially in the last several years after the breakthrough 2014-2015, the eruption in Holuhraun and the great sea in Bárðarbunga. 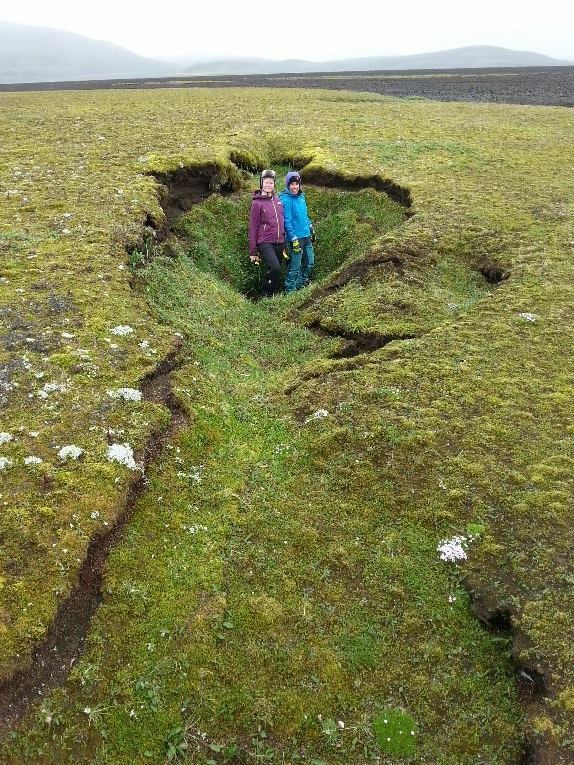 Now, during an expedition this summer, scientists have found new traces of movement and re-shapping in forms of craters, sinkholes and fissures in the ground from Gæsavatnavegi in the east to Tómasarhaga in the west. The southernmost traces are located north of the hall in Nýjadalur, and the northernmost cracks are east of the Quarter. The reason behind these movements is not obvious. 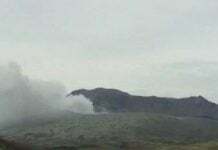 However, they appear to be related to Bárðarbunga activity and may be caused by tension changes in the crust, especially in the center of the volcano. 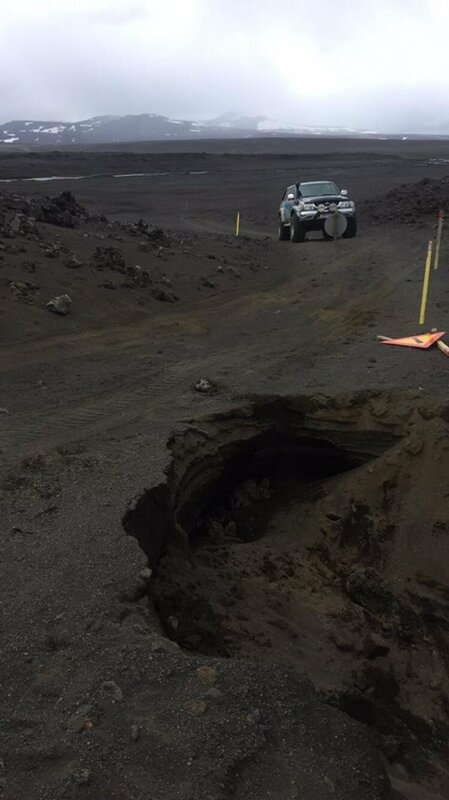 The impact of Bárðarbunga on the surrounding volcanoes is not entirely understood. Tungnafellsjökull volcano is located to the NW of the Vatnajökull glacier and contains two calderas. One is largely filled by the Tungnafellsjökull glacier, while the other one to the SE is free of ice and has old rhyolitic lava flows.